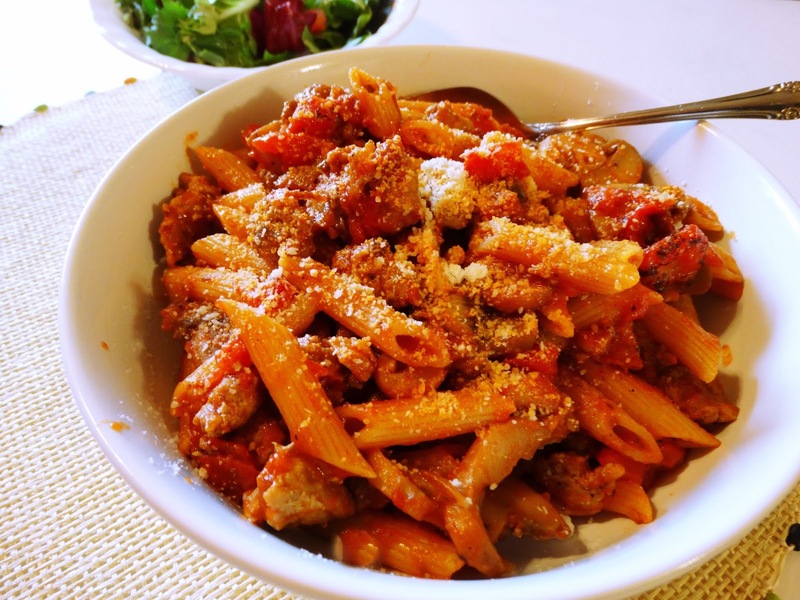 Pam's Midwest Kitchen Korner: Delicious ~ One-Skillet Italian Sausage Pasta! Talk about easy, this dish is about as easy as it gets and was really good, a hit with us! We loved it, I will be making it a lot, and I have a feeling you will be making it a lot too after you try it! One skillet home cooked meal is ideal for someone lazy like me; everything cooks together in one pan, fewer steps, fewer dishes. As for your recipe, I'll go for turkey sausage and no cheese (for religious reasons). Hi Duta! Yes, that's why one skillet meals are great. It would be great with just turkey sausage. Thanks and take care! Ah, I wasn't aware of that with France, Diane! The sausage is spicy delicious. Have a good rest of the week! Hi Dave! It's good without mushrooms too and I would like it with the red pepper flakes, but not Bill. Thanks! This looks so delicious and moreish, Pam. I too need to get my hands on some Italian sausages. Hi Angie! Hope you can find the sausage, it's great with the pasta. Thanks and take care. Looks very good and I'm always up for one pan meals. I love dishes like this! Easy, tasty, and so satisfying. I've made something similar in the past, but it's been ages -- thanks for reminding me how good this can be. Yours looks excellent! Thanks, John! It's a dish we really like and great for chilly weather. Take care and have a good rest of the week! 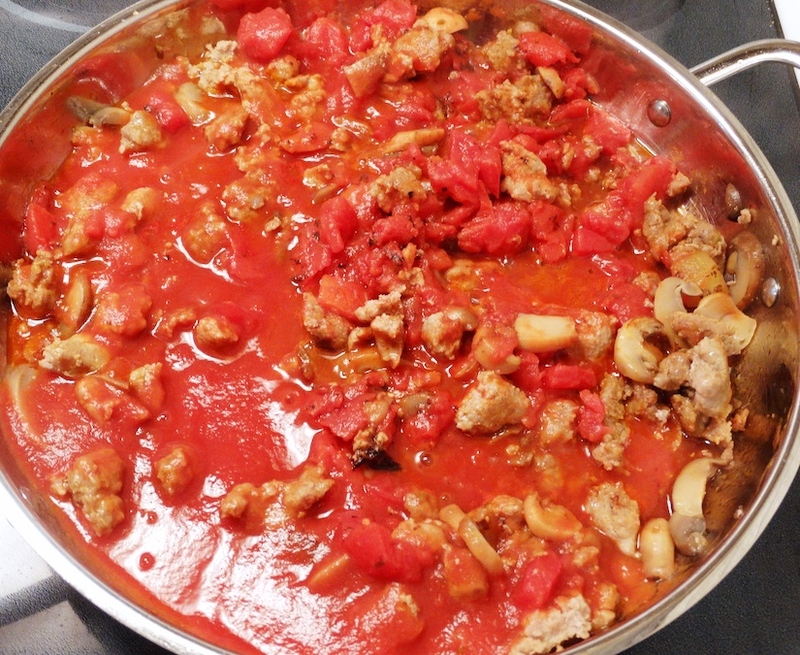 One skillet, one pot...everything one are my favorite...this pasta sure looks delicious, so tasty with the Italian sausage and I am sure the pasta taste super delicious cooked in the sauce. Great recipe Pam...thanks! My favorite too, Juliana! Glad you like it. Thanks and take care. These are the meals that will get us through winter with a smile on our face :) Delicious! Amen, Susan! It's so cold here again today, high of 9° and I'm more than ready for summer. Thanks and take care. Pam, a great one pan meal. I'm with you in mixing the sausages and I think penne pasta works great for a dish like this. Simple and tasty are what we're all about on week nights. This one I've got to taste.